Nathaniel Parham, Sr. (“Spider”) was born in Baltimore, Maryland, on November 17, 1942. He graduated from Catonsville High School in 1960 and then went to Morgan State College. Parham’s reasons for participating in the founding of Groove Phi Groove were to form an organization that was inclusive, to develop friendships among the founders, and to help people get through the turbulent 1960s. Parham graduated from Morgan State in May 1965 with a Bachelor of Science degree in Physical Education. 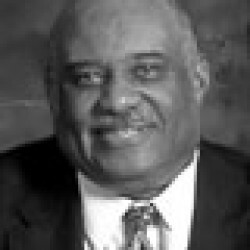 To further his formal education, Parham later attended Coppin State College and graduated in 1972 with a Master’s degree in Correctional Education. 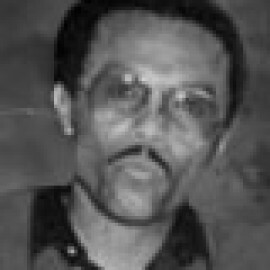 Parham was a federal pretrial services officer for the Pretrial Services Agency in Baltimore from 1976 to 1996. An avid sports fan, Parham takes every opportunity to root for the Morgan State Bears. He enjoys reading books on African-American history, participating in community service activities, working out at the health club, and listening to gospel, jazz, blues, and old school R&B. Parham and his wife Vivian Maria have four children, Lynn, Maria, Nina, and Nathaniel, Jr. Nathaniel, Jr. is also a Groove. Parham has several grandchildren and four great grandchildren. He is an active member of the Fellowship and has been since its founding. Parham’s fondest memories of Groove include: 1) being one of the founders; 2) winning the Herbie Mann Jazz Award for selling the most tickets on campus; 3) marching for the first time with the brothers into the refractory; 4) singing behind the female dorm; 5) electing the first Groove Queen (Connie McClure); 6) taking over the first line; 7) successfully endorsing an independent candidate (Reginald Kearney) for student government president; and (8) seeing the organization officially recognized on campus in 1964 after a protracted struggle. Parham hopes in the future that Groove will continue to grow spiritually and financially and that it will assume its place alongside other prominent community service organizations. His greatest desire is to continue to participate in the community service projects sponsored by the Fellowship.